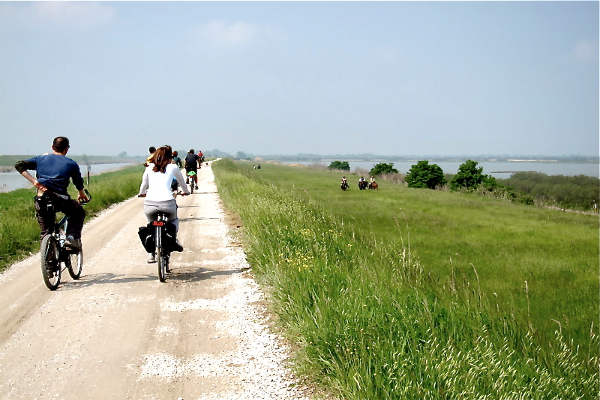 Discovering Chioggia beach resorts and its surroundings by bike is a unique experience absolutely not to be missed. 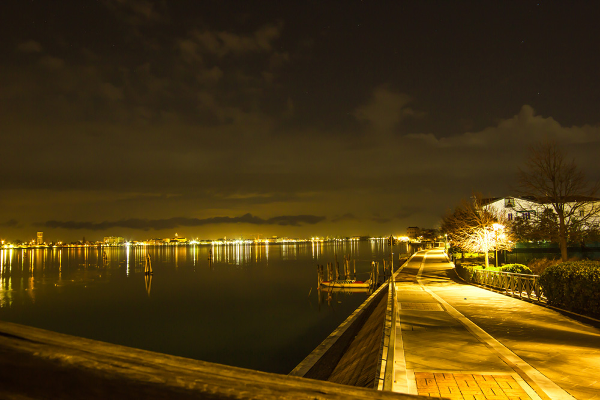 The towns of Chioggia, Sottomarina and Isolaverde give bike lovers many opportunities, thanks to many very simple paths that explore the wonderful lagoon landscape. 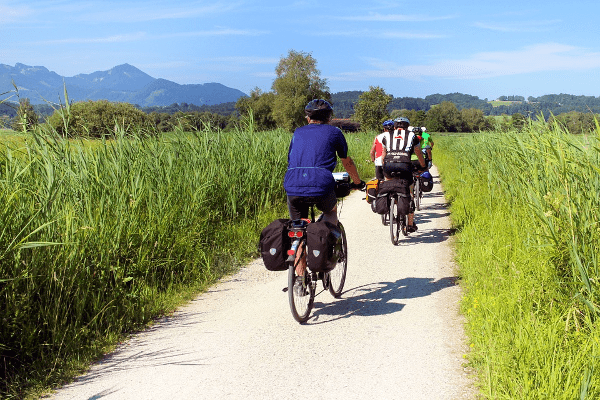 The bike and pedestrian path around Lusenzo Lagoon gives you the chance to immerse yourself in a 5,3-kilometre-long circuit by bike, walking or running, far from traffic and surrounded by nature. Main entrances are next to the Courthouse, at Isola dell’Unione and nearby the Sports Arena. On the town map you will find a red line that indicates all the bike paths, including the one on Lungomare Adriatico. After visiting the original historical centre of Chioggia, you can carry on with your visit and discover The islands of Venice by bicycle. You can reach Pellestrina island by boat, leaving from the public boarding area a few steps away from Vigo bridge. In Pellestrina you may go biking between the garish colours painted fishermen houses and be lucky enough to see some ladies working on tombolo (lace pillow). At the far end of the island, near S. Pietro in Volta harbour, you can board again to reach Lido island. Here after Alberoni naturalistic oasis, you will see the actual centre of Lido, in which many buildings are the setting for the renowned International Exhibition of Cinematographic Art. From Lido you can take the ferry-boat to reach the nearby island of Sant’Erasmo or Cavallino Treporti. From Chioggia there is the possibility to explore nature thanks to the bicycle itinerary towards Po Delta, across Rosolina Mare, Porto Viro and Adria, reaching the park where many water birds, such as pink flamingos, can be seen.